Pure option-based elimination, when options are designed so that even a single easy/incorrect statement leads you to the right answer. Statement based elimination, when you encounter extreme (such as ‘only’, ‘completely’, ‘always’ etc) or partially correct statements. 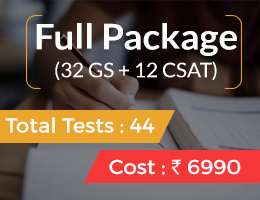 In the real exam, you should ideally attempt 90-95 questions. Unless you are really sure of all the questions you have marked, any attempt less than that might leave you lingering uncomfortably around the cut-off. 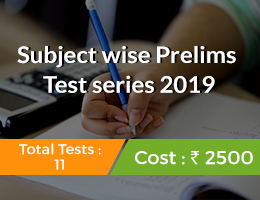 Usually, you would end up marking 40-50 questions with full confidence, 15-20 with elimination (as stated above), and some 10-15 with guess work. 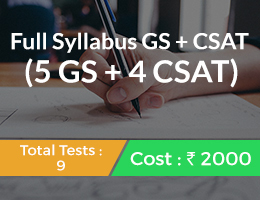 Taking the upper and lower limits, you would end up marking anywhere between 65-85 questions and then you are clueless how to proceed further because you still need to reach that 90-95 mark to conclude with confidence. This is where you need to make intelligent guesses. Most objective type tests can be hacked if you observe the examiner carefully and outsmart her/his way of thinking. Those who attempt more and more UPSC papers somehow start noticing these hacks, and tend to score little better than others with that much-needed difference in the final exam. But, one may not understand these hacks if one hasn’t been on the other side of the table, that of the examiner. 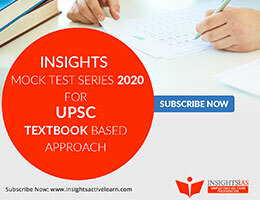 There is something that we, at INSIGHTS, have consistently observed over almost half a decade now after looking at over hundreds of UPSC’s papers (CSP, CDS, CAPF etc.) and designing over a hundred similar papers. A peculiar trend is observed across most UPSC papers, that is the key to our hack. 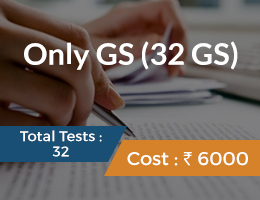 We have observed that the examiners at UPSC are, arguably, generalists, rather than specialists or experts; not all, but definitely a significant number. This means that, often, they might not know a subject matter as well as experts do, and therefore, rely heavily on published sources such as official websites, books and articles on the internet. When this is the case, framing a question becomes tricky because statements can be devised only based on the available information in the sources rather than the complete subject knowledge of the examiner. The major difficulty experienced by an examiner is, therefore, in devising wrong statements that somehow appear deceivingly correct. For an examiner to declare a statement as wrong requires him to know several concepts/theories/ facts related to the question. It is not that he may not know these, but at times this is very difficult when for instance, statements of historical relevance are to be refuted, one needs to know all the historical grounds associated with that issue (explained in the Vijyanagara tax example below). This makes their questions vulnerable to intelligent guessing and leads us to the key principle of our intelligent guess – “it is difficult to devise wrong statements”. Below, we take some of the past year questions of CSP that may seem difficult in first go, but are a cakewalk if you apply this principle consistently. We have categorized them based on the corollaries of this principle. This is where this principle applies the best because few examiners can declare themselves experts in the domain of emerging technology where there are a lot of gaps or grey areas. Observation: Examine both the statements; both should be correct. Both indicate a possibility (use the word ‘can’); the possibility of a technological feat. No arm-chair examiner can refute a futuristic technological possibility that requires years and years of research by some of the most qualified scientists in this field. If the examiner had to make a statement that: ‘nano-technology cannot be used for drug delivery’, he would have really needed a very strong argument to refute this possibility. You can easily mark both statements as correct because it is really hard for an examiner to design a statement otherwise. Observation: Same applies to this question. The argument that genome sequencing can do ‘something’ (identify genetic markers here – Statement 1) can hardly be refuted other than by some very strong research, and that too a mainstream research widely accepted by the academia/industry; else this statement would generally be correct. But, the same analysis may not be applied to the other two statements – the technological sophistication in them is not so high, and common sense says that these statements might be right or wrong. But, then you see the word ‘can’ and it makes things simpler. In most cases, such a statement would be correct, as is the case here. Why? Because to refute a possibility indicated by ‘can’ again needs strong backing, for e.g. here “It can be used to decipher the host-pathogen relationships in crops”. You never know that a Nature Journal article might talk about this possibility the next day this question appeared in the exam. Observation: The same analysis applies. The futuristic possibilities and the sophistication indicated by all three statements may not be refuted and there is always a possibility that future research would vindicate them. Lesson A: So, the examiners are wary and any technological intensive question that is associated with the word ‘can’ should be true in most cases. Mark statements with futuristic possibilities involving some technological sophistication as correct. Observation: We had referred to this example in the introduction of this article. If you were the examiner, what would it take you to make a statement that negates statement 2? A lot of research into the financial system of the Vijayanagara Empire! History is vast, it is easy to assert a fact with confidence, but it is quite difficult to negate a certain fact because history is an evolving subject. If you keep digging, you will keep finding something new. In fact, that is what keeps the research departments in History alive where new University courses in history (e.g. tracing the tribal roots of Vedas) are being designed each day. So, for the examiner to claim that there were no workshop taxes in the Vijayanagara empire, it would really take a lot. He can make his life simpler by asserting the affirmative and move to the next question. From this, you know that such statements that assert a minute historical fact are likely to be correct. Observation: The statement that Kharai camel cannot be domesticated needs solid academic research or needs to be grounded in the experience of conservation officers working across India. The examiner is not likely to go through all the research into Kharai camels because it is time consuming and belongs to the domain of wildlife experts. You can safely mark this statement as incorrect. There are exceptions to this approach such as the Indus Valley question in 2017 that talked about Horses, but these are marginal occurrences and do not qualify as the trend. Lesson B: Examiner is unlikely to refute statements that dig hard into facts, especially when it is a specialized fact and a matter of research. In most cases, mark such statements as correct. It assists the countries in their ‘REDD+ (Reducing Emission from Deforestation and Forest Degradation+)’ efforts by providing them with financial and technical assistance. Observation: Statement 2 was framed to deviate you from the right answer. You would notice that UPSC will often design wrong statements by exploiting the term “financial aid”. While a number of schemes have a financial component, but when a scheme declares such a financial commitment to be applicable to a large domain, it is likely to be incorrect. In all three statements, this assistance is being offered to a large number of stakeholders – governments, businesses, universities, individuals, civil society, indigenous people and scientists. It is highly unlikely that such a focussed scheme (on Forest Carbon Partnership) will give aid to almost all such stakeholders. Lesson C: Too generous and widely applicable financial aid associated with a focussed scheme is unlikely to be true. Mark them as incorrect. This is a relatively simpler hack which is again based on our core principle that it is hard to design wrong statements. One of the simplest ways in which you can design a wrong statement is to pick up a list of things (A, B, C etc.) that a scheme/device/body does and then state that it does “A”, but does not do “B”. With reference to the ‘Gram Nyayalaya Act’, which of the following statements is/are correct? Observation: As stated above, S2 in the first question, and S1 in the second question are more likely to be incorrect because they employ the corollary of “this, but NOT this”. Lesson D: Unless you have really compelling reasons, do NOT fall for “this, but NOT this” kind of statements. Mark them incorrect. 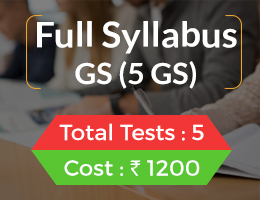 A good examiner always knows his ground, but UPSC Prelims syllabus is vast and none can know everything especially when a large portion of the paper is dynamic and involves several interdisciplinary topics. One needs to invent wrong statements to make a paper tricky and that’s where you can intelligently outguess the examiner. Lesson B: Examiner is unlikely to refute statements that dig hard into facts, especially when it is a specialized fact. In most cases, mark such statements as correct. These should not be taken as hard and fast rules that you apply everywhere. Apply them intelligently understanding the key principle that underlies these corollaries that “it is hard to design wrong statements”. 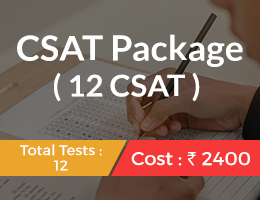 Complemented with through preparation and revision of all INSIGHTS Mock tests, they would certainly help you gain those extra 10-12 marks when you have exhausted the limits of your knowledge. The real test is close. We hope this helps you. All the very best!